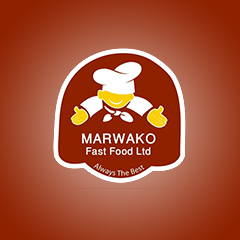 Marwako in Accra is a fast food restaurant and one of the best fast food joints. They offer a wide range of cuisines including Ghanaian and Lebanese cuisine. Marwako,Accra currently has four branches that are fully functional and operational. They are Marwako Spintex, Marwako Abelemkpe, Mawarko Mamobi and Marwako Labadi. However, the Labadi branch is both a restaurant and a fast food joint. Marwako Restaurant, Labadi offers more cuisines and services to their customers as compared to their other branches. They also have a reservation service available which enables customers to place orders ahead of time, especially on special days such as holidays when they get fully packed. Marwako, Spintex is the most popular branch as an eatery with the Abelemkpe branch being most famous for delivery. Marwako restaurant has a great atmosphere that makes customers feel very comfortable and relaxed. It has a homey feeling with an environment that caters for kids by offering a kids menu; Marwako Ghana provides for your family needs and yours. Coupled with their great customer service and attention to detail, most people who dine with them always return and are filled with nothing but good and lasting memories. They set out to be the best fast food joint in Ghana and so far, they have not disappointed their customers. Their special delicious shawarma contributed greatly to their current popularity and goodwill. One of their most patronised meal is their famous fried rice and chicken (both fried and flaming chicken). Not only do they have delicious meals they also have great packaging, outdoor sitting area at their Labadi branch and a huge parking space at all their branches for their cherished customers. Marwako’s food delivery in Accra is not only very efficient but also very reliable. However, ordering food online from Marwako Restaurant is also available with Pizarea. They were part of the first batch of restaurants to join Pizarea. Being on Pizarea allows customers with busy schedules who love Marwako so much to order their food online and have it delivered to them. The food delivery is fast, safe, convenient and reliable. Marwako in Accra has very good customer and delivery service across all their branches. They observe good hygienic conditions and are always sure to observe strict sanitation principles. Marwako’s food prices are relative affordable per all standards. So when looking for a restaurant that offers nothing but the best and treat customers like royalty, then Marwako in Accra is the place to be!